Find the little picture of him on the Competition Banner (see rest of article) and help him to find his way home. The Prize for the winner is a Seasonal Grab-Bag of Goodies to help share a little magik during this festive period. The Winner will be the first person to spot him and let us know. Unfortunately, if you can't email us you cannot send the answer in a letter to us here at the Keep via Snail Mail as the Competition is being held on a First Come - First Served basis. 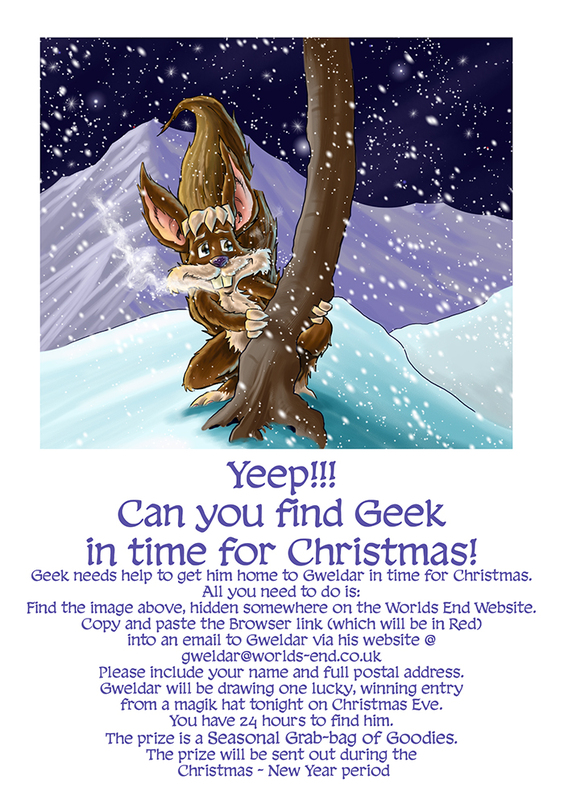 THE DEADLINE IS SATURDAY 24TH DECEMBER at 00:00pm GMT (That's 12 o'clock Mid-night for us kids).